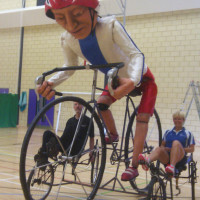 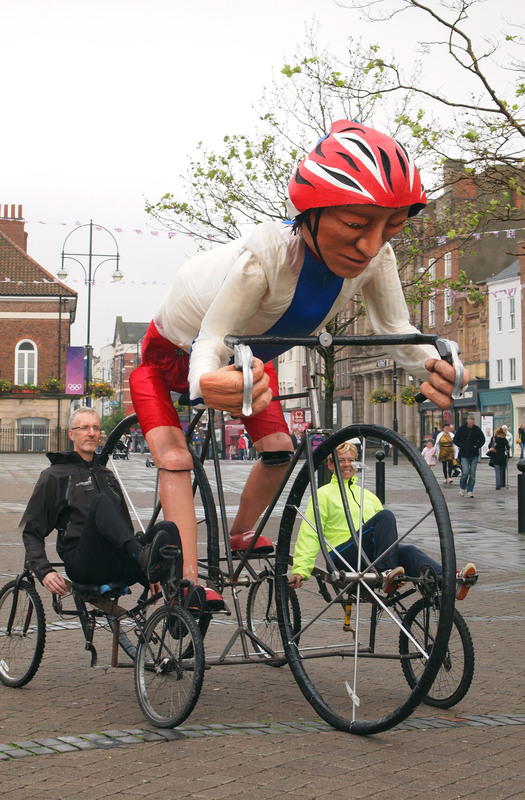 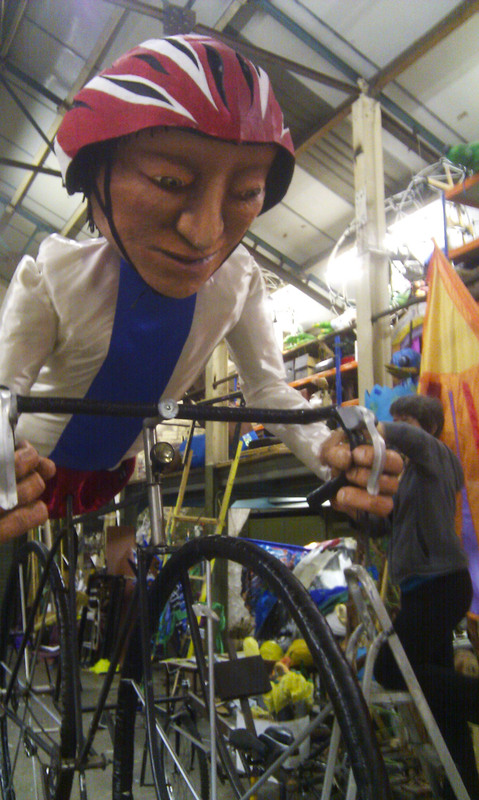 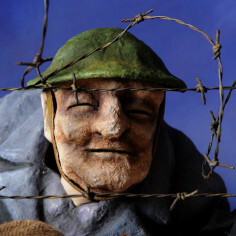 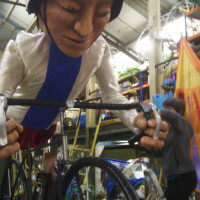 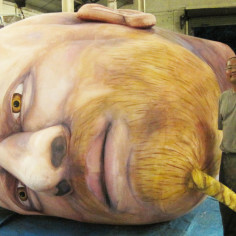 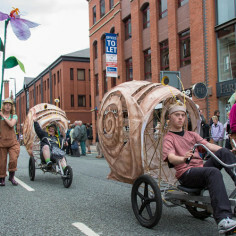 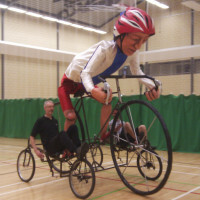 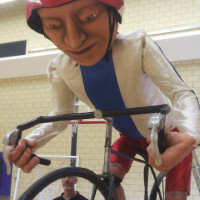 The Cyclist puppet was commissioned by Stockton Carnival and Stockton Cycling Festival, 2012. 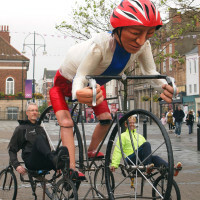 The cyclist was built on a frame by Julian Taylor, consisting of 2 recumbent bikes, which provided the forward movement of the piece. 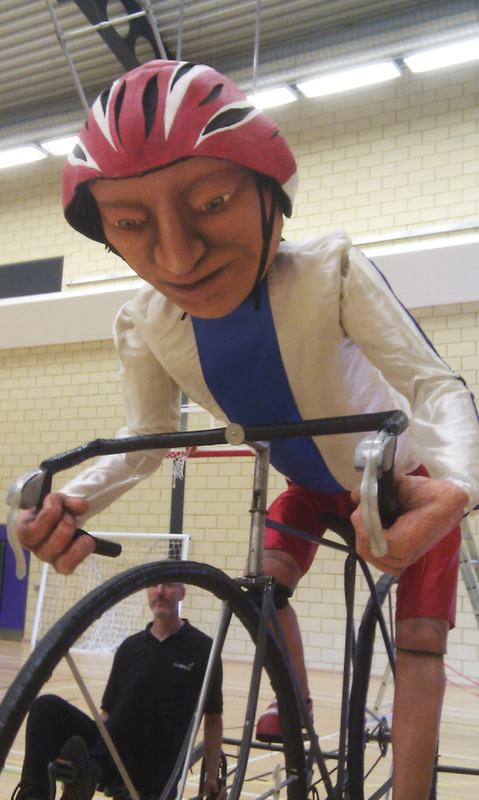 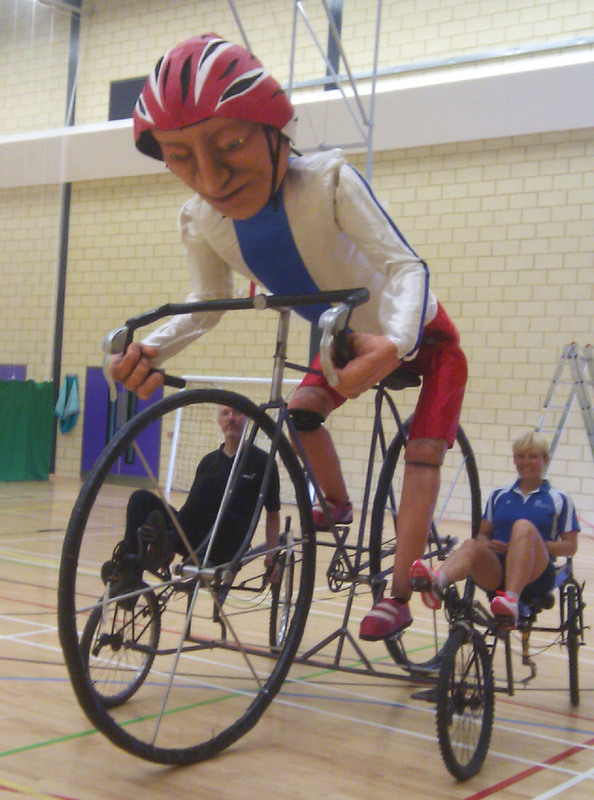 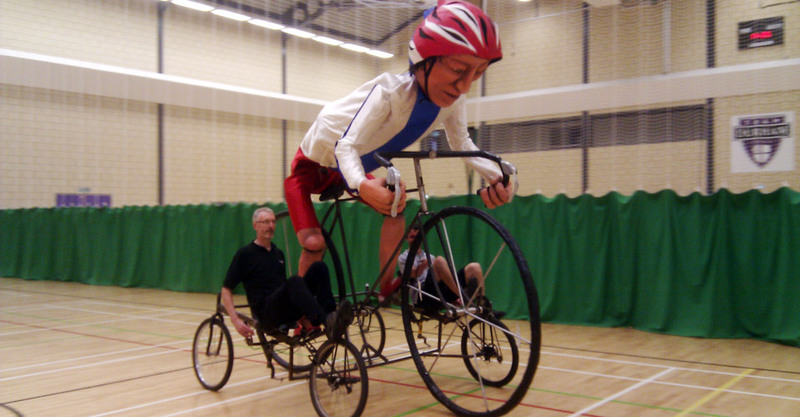 The giant cyclist’s legs were also puppeteered by the real-life cyclists, so that he pedaled his own out-size bike.